Okay so here goes my saga..
Kaplan Premier 2008 - started off my prep with this. 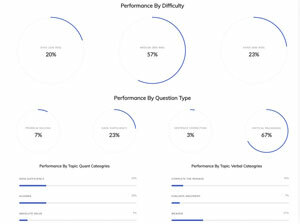 Got a decent overview of the GMAT test. Good book to initiate your studies with. Manhattan SC - must have read this book at least 5 times during the course of my preparation. A very comprehensive book for the SC section. 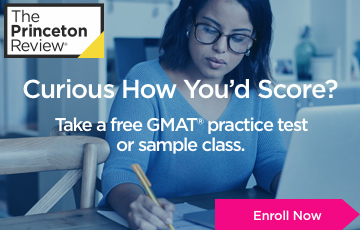 Princeton Crack GMAT - Bought it just to get access to the four online tests, but have done all the higher bin problems from this book. This book can be used as a starter but for advanced (tougher) problem sets you need to look somewhere else. Kaplan 800 - was looking for some real tough problems, got hold of this and completed it in a week's time. Good book for the verbal part. Quant is just ok.
Powerscore CR - read this book after someone on the forum recommended it to me. This was towards the end of my preps. Found only a limited benefit from this book could not see any remarkable improvement in the section after getting done with this. OG 12 - I got to know pretty late in my preparations that OG 12 has been published and is available in the market. Many suggested me it is not very essential if you have religiously followed the OG 11. But the skeptic that i am , i bought the book and did all the additional 300 problems during the last 4-5 days before my test. In my opinion . the level of questions remains the same. 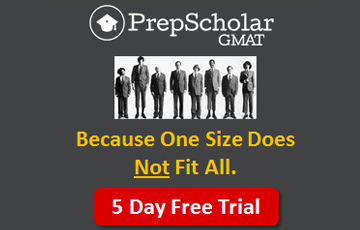 The speculations that the GMAT has gone tougher/harder are all baseless. These scores seemed so static!! I was putting in so much effort in between the tests to improve on my weak areas but i could hardly notice any tangible improvement. In my opinion these questions are fairly complex when compared with the actual ones. Do not take their scores to heart, they will unfailingly disappoint you rather use these tests to pace yourself . I find their software/algo for calculating scores highly skewed. I do not think they are a reliable source to gauge one's performance. Moreover the Quant is nowhere near the actual test level. I found MGMAT tests really good, and their reports more so. I repeated these tests and scored in the range of 690-750.
the math in the powerprep is fairly simple. Expect tougher problems in the actual tests. Level of verbal remains close to the real test. 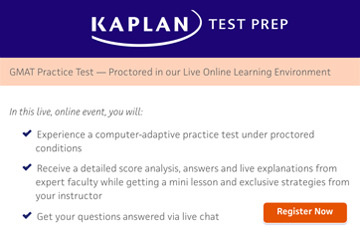 If you are looking for additional practice tests, these tests serve the purpose well. Taking tests from GMATPrep and Powerprep gave me a real boost. I was pretty confident about scoring above 700 as i have heard that the scores from these tests are pretty good reflectors of your ultimate score. But alas! that didn't happen in my case. 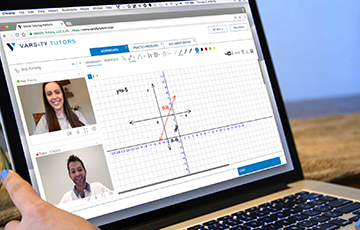 The GMATPrep mimics the real test in all aspects- UI, difficulty level, style of questions etc. There is no substitute to these tests available. Use them wisely and you can extract the maximum benefit from them. ** I took all the CATs with AWAs. This is one major factor that really helped me build up my endurance and stamina for the 4-hour long test.I did as much as i could to simulate the real time test environment during the tests and i believe i was fairly successful. I was quite confident about my preparation and was adequately relaxed before the day of the test. The only thing i did on that day was revision of sentence correction flashcards and Manhattan SC guide. I just went for a stroll in the evening , came back , had a light dinner and went off to sleep at around 10 pm. My test was scheduled at 9 am. I woke up around 7:30, freshened up ,had a good breakfast ,said my prayers and headed to the test center. I had a positive state of mind as i thought i am well equipped with my preparedness. The ONLY thing I was worried about was my stamina ditching me. The test center formalities were over by 9 and I was lead to my terminal exactly at 9. The AWA was smooth, i decided that i would not over exert myself during the AWAs and conserve my energy for the more grueling quant and verbal sections. I stuck to my plan. I took the 10 min break , had fresh fruit juice and popped in a ferrero rocher. Re entered the test area at the 8th minute, didnt want to take any chances with the time. Quant went pretty smoothly as well. I couldnt really gauge the level of difficulty of questions, so couldnt really predict whether i was doing well or not. Moreover my focus was to deal with the question and not expend my energy in analyzing the level of ques or anything else for that matter. I got quite a few std dev probs , got a probability in the 1st 10 questions and one towards the end. There were a lot of lengthy word problems in DS towards the end of the test. So , if you put in extra time in the 1st 10 questions it will be really difficult to finish the test well within time and you ll have to guess randomly on the last questions. I guess i paced myself well and had to guess only on a couple of DS questions in the 25-30 range. I utilized my second break to wash my face , have some coffee and pop in another ferrero rocher. I knew that tackling concentration would be the only thing i will have to take into account. I re entered the test area feeling fresh and ready to face the onslaught of the verbal section. The verbal started with 2 SCs and then a CR and 4th was an RC. 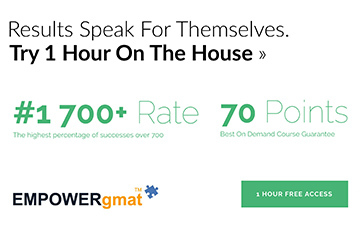 The questions in the verbal seemed very similar to the OG and the GMAT prep. There were hardly any deviations from the regular GMAT stuff. The RCs were all interesting. There were no abstract ones. 1 science, 1 history and 2 business passages. I found all the questions quite simple and was thinking that i was doing well.The best part was i was able to maintain my concentration and my stamina did not drop much throughout the section. I went numb. I was expecting anything above 700, but my ultimate score disappointed me to a very large extent. The verbal score is earth shattering, more so because i cannot really pinpoint what exactly might have gone wrong????!! I am going to re take(have made up my mind) the test in one month's time and I am shooting for a 700+ score. I want at least a 38- 39 in verbal. I know it is not an unreachable target especially when i have seen people improvise by 30 - 60 points in their subsequent attempts. I earnestly request the experts and everybody else on this forum to help me realize my goal. PLease suggest me some sure shot ways to gain 4-5 scaled points in verbal!! 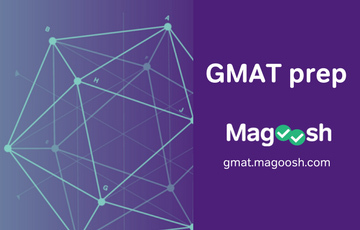 Would be glad to be of help to any of the GMAT aspirants on the forum!! Shoot , if you have any questions..
Stop giving yourself such a hard time! 680 is well within the range of ALL top 10 schools in the US. While we all want to jump to the 700s range, that doesn't mean that something really, really close to it is to be dismissed immediately as complete failure. I say start by giving yourself a pat on the back and then worry about your retake! The issue here is clearly with the verbal part. Your score won't dramatically improve unless you address this particular area. The question is, what's your weakness? Which one of the three portions do you seem to struggle with? Based on that, I'm pretty sure experts on this forum can provide a reasonable method of rebound. It would also be interesting to know if you are a native speaker or not. Since you haven't pinpointed any particular area of interest, I'm going to stick to the general stuff. Considering the questions "quite simple" may be of concern sometimes. 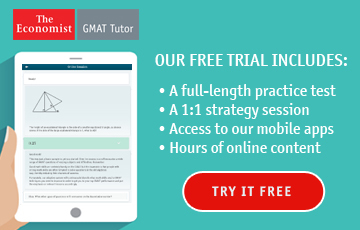 The GMAT is not a simple test and sometimes, when we're hit with a decent question, we might lose that focus that comes with pure concentration. You need to be "en garde" on test day and no matter how easy the questions seem, there's almost always a trick. Let me give you an example: CR questions are particularly tricky if you don't pay attention. 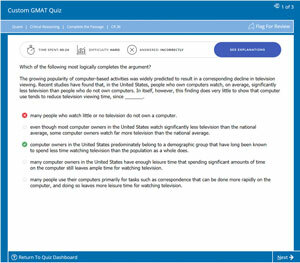 The makers of the GMAT test your attention by providing a seemingly 100% correct answer, but distort the whole thing by strategically placing something like "always", "invariably". These strong modifiers make the otherwise bullet-proof answer a trap, since most of the time the author of the passage refers to a general situation. We all know that general situations have exceptions, so "always" is not an option here. Some more general stuff: especially if you're a non-native speaker, you could try reading some stuff in English and I'm not saying just articles; you could also try a book (I recommend "The Black Swan" by Taleb and "The Economics of Money, Banking and Financial Markets" by Mishkin if you're into financial readings - but this one is kindda expensive). It's always useful to see your "tool" in action: you get better vocabulary, better pace when reading and observe the various constructions of the language. Conclusion: don't be so hard on yourself! You did a pretty good job on your first go. Look at this as a learning opportunity: it's a little hurdle that teaches you what to expect next time! hey DanaJ thanks for that prompt response! And as you guessed it, i am a non-native speaker.. I want to add at least 30-50 points to my present score so that i stand competent among the people with whom i will be grouped. People like me are overrepresented in the gmat pool , moreover i talked to a friend of mine who is studying at Ross (one of my dream schools) and she said that people with my background have an avg of 730 in their school. So i guess what i mean when i feel depressed about my scores. Talking about my weaknesses , i think verbal section is giving me a hard time , i am saying so because i cannot seem to really know where i am faltering. 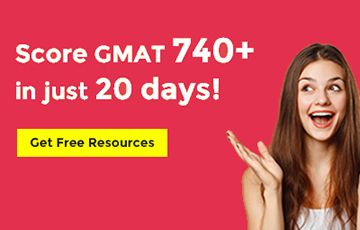 If i go by the results of GmatPrep and Powerprep (supposedly the most reliable resource to judge yourselves) i should have scored anything above 700 , even a 700 would have been satisfactory! My strike rate for SC in OG 11 was around 82% and for CR it was around 88% whereas RC was 70%. But overall i guess i could do the SC during the CATs pretty fast so that i could spend more time on RC, this strategy worked fine for me. Spending more time on RC, taking notes helped to get around 10-11 right during the practice tests. I realize that once you are at a 680-690 level, it is tougher to improvise further. But by hook or by crook i want to get past the 700 level in a month's time..
One drawback, if i may call it that, during my preps was that never time myself when i practice from various sources. I do this because i feel that timing questions exhaust me and i am unable to devote appropriate time to analyze after that. Also, do you think that my comprehension skills would improve if i read american newspapers such as wall street journal, the economist etc. wouldn't 1 month be too short a time to improve comprehension? please advise!! What you need to remember is that RC passages are usually well-written. This is the reason why they have a particularly clear structure, i.e. first paragraph - introduction; second paragraph - alternate explanation to a theory etc.... The paragraphs are linked to one another in a neat way, meaning that there's usually no abrupt "rupture" in the text. You will often see connectors, such as therefore, however, moreover to signal that a different section is about to come your way - like an alternate explanation (for however) or something that strengthens the initial idea (for moreover). I usually follow the structure of the passage by these red flags, so to speak, which enables me to understand the purpose each paragraph in the whole thing. This is another important part of RC: you must be able to spot the purpose of each paragraph. That's particularly useful when you have questions such as "What is the main point of paragraph X?". Also, since you seem to be fond of the note-taking strategy, I advise you to not waste more than a single phrase per paragraph. Taking lengthy notes will hurt your timing and you miss the point of it all by basically rewriting the passage instead of summarizing it. While this is the "macro" level of the stimulus, the "micro" level concerns each phrase of each paragraph: they too are connected by similar words. Each phrase has its own little role in everything! You should look for parallelisms, enumerations, supporting ideas: this gives you a general feel for it all. Also, an important part of your RC practice is trying to work on your vocabulary. Most of the times, the answer choices that just take whole groups of words out of the text are wrong - this is a "cheap shot" designed to test you attention. The right answer will not only test your understanding of the passage, but it will also check for the "strength" of your vocabulary, your rephrasing "capabilities". Making materials in English part of your daily routine keeps you immersed in this language, while improving your vocabulary and understanding of its structure. One month is a huge amount of time to do this, I guarantee. But you will need to read almost daily! You could try a book or The Wall Street Journal or maybe even both. Books are great for vocabulary, while TWSJ or Financial Times train your eye for arguments/paragraph structure. As for SC, it's all down to practice. You obviously know your fundamentals, since 82% is a pretty darn good hit rate. This means that you might be missing on some of the very subtle parts of SC, for which unfortunately I have no guidance to offer except continuous exposure to the language. I understand you've already thoroughly reviewed the SC guide, so all I can say is read, read, read! While learning about grammar is extremely useful, you also need to put it to work. The only way of doing so is by constantly employing the English language. It is so ironical that i spent the major chunk of my study time on verbal and would do quant only intermittently. But the result is so disproportionate !! sigh! I will definitely try out the tips suggested by you. 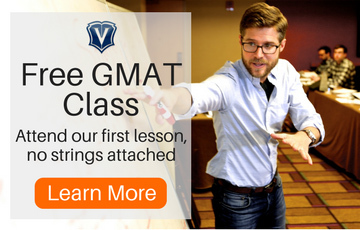 I agree completely with you when you say that the RC passages in GMAT are very well written. As a matter of fact i sometimes get so engrossed in the passage that i forget that i am taking a test and not reading for leisure. I very strongly feel that if i expose myself regularly to material written by american authors, it will bring a substantial difference to my score(i seem to be obsessed with it, right? ). Also you are right about the vocab building strategy. I remember that in a few questions in the OG , i missed the right answer just because i didn't know the meaning of certain words used in the answer choices. One such word was 'ubiquitous'! And reg the note making strategy , i usually do not write more than one line for a paragraph - just to stay focused and summarize my understanding of that particular paragraph , seems to work pretty well with me..
One additional change that i ll bring in my preps this time around would be timing myself every single time i do any GMAT related questions. Now that i have my basics in place, i can afford to do this. Hope it brings the much required jump in my score! Thanks for your effort!! Will keep you posted on my progress and keep coming back to you for more advise! If you want to practice reading outside reading material for RC, I recommend reading through magazines such as "The Economist"...they usually have some good reading material in there. thanks for those encouraging words, ssmiles08!! I m surely going to look into some well written stuff and The Economist will be one of them. But i very strongly feel that i messed up equally in all 3 sections in the test coz 34 is way below my expectations! One thing I think might help for nonnative speakers with SC would be to use standard English wherever they go. Not simply speaking but in writing. If you're texting your friend, use periods and commas, etc. If you're writing on BTG or another forum, same thing. That kind of practice might help to develop the native "ear". point taken, myohmy! will leave no stone unturned to get past that coveted 700!! The reason you scored lower than what you expected is because you went to the test with confidence. 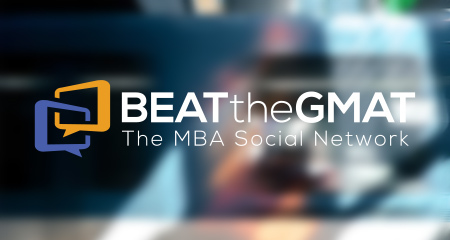 You should not go to the GMAT feeling confident. You should feel challenged. If you feel you are challenged then you are setting your mind to work on an upper level scale. I think your prep is ok and not much to improve there. It is jus the psychology that need to be changed. Be challenged not confident. Confidence, per se , is not a deterrent to achieve one's goals, overconfidence certainly is. Unless you are confident about your preparations, your strategies , your timing, the whole GMAT exercise might go down the drain.. 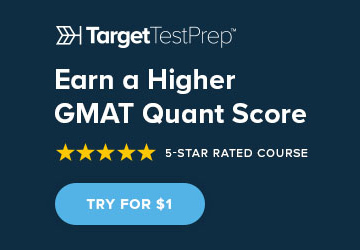 I agree with you when you say that one should feel challenged during an exam as competitive as the GMAT but then that does not preclude you from having confidence. Also, on hindsight, the feeler that the verbal is going pretty well itself should have raised an alarm in me as the test is not supposed to be simple , be it for someone who is scoring in 500s or for someone who is scoring in 700s! It would also be interesting to know if you are a native speaker or not. Interesting question. DanaJ, was this a general question that you would ask anyone, or was there something particular about Claret's post which indicated to you that she wasn't a native speak of English? Frankly, I was astonished to learn--from Claret's subsequent post--that she was not a native speaker of English. Given her initial post, I totally assumed she was a native speaker; I had no reason to believe otherwise. Claret, I don't have much to offer you except that you can also try reading articles from McKinsey Quarterly. (http://www.mckinseyquarterly.com/) They should be helpful for SC and RC. Good luck trying to get a higher score, but I strongly agree with DanaJ that 680 is a very good score. You should be able to get into most schools with 680, as long as the other components of your application are pretty solid. I would be pretty happy to score a 680 on my first try.